Apple suing HTC over 20-odd patents before both the US District Court and the International Trade Commission has certainly caused some chaos this morning, but we thought we'd take a quick breath now that we have the complaints and tease out exactly what patents are at stake here. Of note, most of the patents were granted in the past year, but overall they span a range from 1995 to February 2. Yes, last month. That's a pretty big gap, and most of the patents are pretty dry and technical -- and none of them cover anything like pinch-to-zoom. 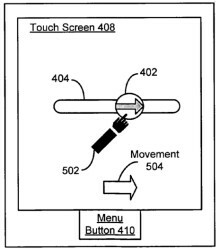 In fact, you might remember #7,479,949, "Touch screen device, method, and graphical user interface for determining commands by applying heuristics" -- we blew apart the myth that it was Apple's "multitouch patent" back when Cupertino was making noise about Palm. It's impossible for us to say exactly how this case is going to play out -- just like the Apple / Nokia lawsuit, it could settle tomorrow, or it could last for 10 years -- but what we do know is that Apple's going after Android as much as it's going after HTC. Some of these patents are from 15 years ago and cover OS-level behavior, so it's hard to see how they can relate only to HTC's implementation of Android and not Google's OS as a whole. Yeah, it's wild, and while we're not going to blow out all 20 patents to sort out what they mean -- not yet, anyway -- we can certainly walk through the claims. Let's see what we've got. 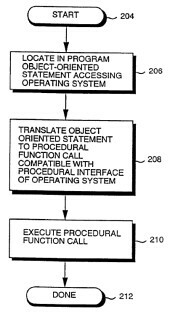 This is an interface patent granted in 2008 -- it's not specifically related to phones. According to the claims, it's a method of moving a GUI object along a path with a non-constant velocity for a period of time -- one of the claims specifically covers minimizing windows with a scaling effect like OS X, and two others describe a row of icons that rearranges itself when icons are added or removed, just like the iPhone's app dock. We did this one at length after it was issued in January of last year -- check out our Palm discussion for more. The big one here is scroll behavior: starting a scroll in a single direction locks you in that direction, but starting it at an angle lets you pan around freely -- just like the Android browser. This one's cute 'cause it's brand new -- seriously, it was just granted on February 2. It's almost exactly what it says on the tin: it covers unlocking a touchscreen device by moving an unlock image. It's broad enough for us to say that it covers virtually every unlock behavior we've seen on phones, not just the iPhone's slide-to-unlock implementation. Yep, we covered this 2008 patent in our Palm piece too -- well remembered, friends. Jump back to that for the full details, but the executive summary is that it covers the iPhone's distinctive scroll-back-and-bounce behavior. Granted in 1999, this patent is surprisingly broad -- it flatly covers managing power in a digital camera device to a power manager that sends state information to a processor controlling the camera. This was issued in October of 2009, and it's really quite specific: it covers a phone with multitouch input, a proximity sensor, and an ambient light sensor, which allows input when the sensors indicate one condition and doesn't allow input in others. In simple terms? It's how the iPhone shuts off the touchscreen when you hold it to your ear, a scenario that's specifically called out in the claims. The year was 1998, and times were lean in Cupertino. Steve Jobs had just returned to Apple, and although the company's fortunes were turning with the introduction of the iMac, it was clear that a true breakout was needed. "We have the answer!" cried William A. Garnder and Stephan V. Schell, two of the company's employees. "We'll develop an an apparatus for extracting a signal of interest from a plurality of spectrally and temporally overlapping input signals containing digital data having a bit rate!" Years later, this patent would thoroughly confuse a young lawyer simply trying to make sense of this mad, mad world. Another deeply technical patent, granted in 2008. On reading the claims, we're going to hazard a guess and say it covers powering down a processor when told to sleep, but this sort of patent is exactly why this litigation will take years and require many hearing to determine exactly what's covered. This is the oldest patent of the bunch, issued in 1995. (You can really get a sense for how Apple's counsel has changed the way it writes patents over time by reading all of these, by the way. The older ones are really quite terse.) Again, it's technical to the point where we don't feel comfortable saying exactly what it means, but it covers building graphics objects with a processor and outputting them through various means. Given the fact that this predates Steve Jobs' return to Apple, we'd say this one was thrown in because Apple's lawyers think it's particularly strong, not because it has something to do with phones specifically. This one is actually quite interesting: it's from 2002 and is illustrated with drawing from Mac OS 9, but it covers event notifications passed among objects -- a system specifically described in the abstract as presenting a context-sensitive menu on the screen. That's very much the core of the Android UI, if you think about it. We don't know exactly what Apple thinks HTC is infringing with this patent, but it's one to keep an eye on, since it could have huge implications. Okay, that's it for the federal case. Ready for the patents claimed in the ITC complaint? They're even more dryly technical, it's going to be a blast. This one's fun -- it's actually an old NeXT patent from 1996. And we're talking old-school NeXT -- the inventors are listed as Betrand Serlet, Avie Tevanian, and Lee Boynton. Anyway, this one is large, broad, and technical: it covers passing objects in an OS between processes by way of a proxy object. Again, given that this is primarily an OS patent and that Apple claims all of HTC's Android phones infringe it, it's hard to shake the impression that this case is anything but a proxy for a larger fight to come. 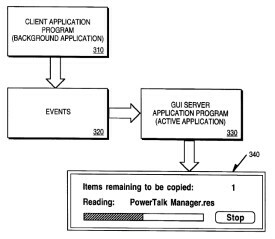 Apple lumps these older OS patents together, so we are too. '867 is from 1996 and covers accessing OS level services in a multithreaded way; '983 is from 2001 and describes an OS in which apps can access native system services and those services can make use of data associated with an object. Again, dry, technical -- and totally aimed at Android, not HTC itself. Another OS patent from 1996, this time relating to passing event notifications between objects -- like changing app behavior based on battery status. If you're not getting that Apple is targeting Android with the ITC case in particular by including low-level patents like these, there's really nothing more we can do. Oh, wait -- we can drop another six patents on your head. This one is also interesting because of it's age -- it's from 1999, and describes a way for users to get at remotely-stored resources more effectively by using software "components" that deal with different data types. Seriously, we're almost impressed at how deeply Apple is pulling here. '647, issued in 1999, is what you might characterize as the "data detectors" patent -- it covers parsing data for known structures like phone numbers, address, and dates, and then taking action with that data. The model described is client / server, though, so it remains to be seen how Android handles similar tasks. You're going to love this one: '705 is a 1999 patent covering a form of multitasking. Specifically, it hits on the idea that a foreground app can direct a background process to go do some task while the foreground app remains responsive. The actual implementation is a bit more specific, but in the end, it's just another OS patent that's aimed directly at Android. Apple's also claiming this one against Nokia. Hey, a patent claim that's aimed at HTC's WinMo phones as well as its Android phones! That's a new one. This 2002 patent covers using a separate real-time API to control low-level systems like digital signal processors. This is the one and only claim in the ITC complaint that touches on non-Android HTC devices. It's like that, people. Apple's also claiming this one against Nokia. A 2002 patent hitting on multiple API usage in operating systems. Guess which Google-designed OS Apple says infringes on this one? Oh, and yes -- Apple's also claiming this one against Nokia. This patent was originally issued in 2001 and then reissued in 2007, and it covers -- surprise! -- OS-level software. Specifically, RE '486 covers organizing modular software "components" into a network layer with an API. It's more specific than that, but again, what's important for our purposes here is that this is about low-level software, not devices -- and the HTC devices that Apple says infringe this patent all run low-level software from Google. This is another one that Apple's claiming against Nokia. Okay, that's all 20 patents. Everyone still with us? Good. So here are the takeaways: as of right now, it's impossible to predict what's going to happen in this case -- Apple and HTC could settle tomorrow, or it could turn into a ten year courtroom monster. But what we do know is that Apple's specifically gone after HTC's Android devices, and it's organized its attack very carefully: it's gone before the ITC with a collection of older patents on very deep OS-level functionality, which traditionally would be considered stronger patents, and it's gone before the federal court with a different set of patents that include some very new claims on user interface features. Both courts have the ability to stop HTC from selling devices and issuing fines, but none of that is going to happen anytime soon. The real question now is how HTC is going to respond -- and whether or not Google is going to get involved.